Where This KPOP Fangirl Rants: ByunTae! Oh wow..it's been a while..
Yeah...so many things have happened while I've been away. But..but - I don't feel like talking about them.. Mostly because I'll just start tearing up again. I don't care what them haters wanna say about them, this couple is freaking perfect!! I was overjoyed when the news first broke. 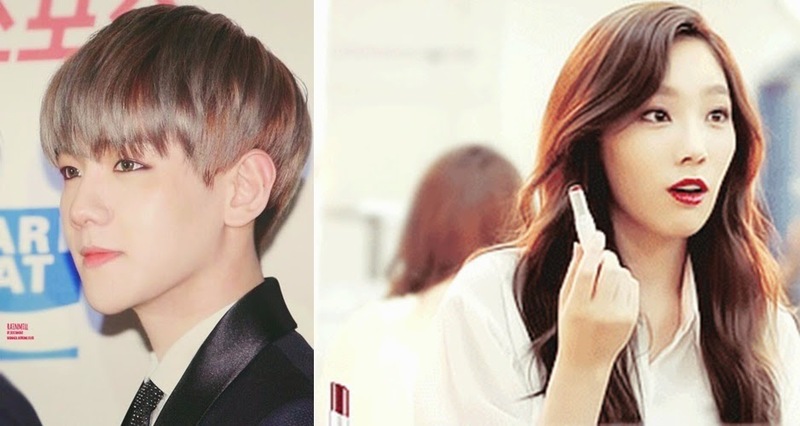 I've been rooting for these two to end up together since Baekhyun totally fanboyed over Tae-Goddess. I remember watching this video before the news came out and thinking "Aww...poor baby, if only she'll acknowledge you". She just looked so disinterested in there that I was this close to grabbing her by the shoulders and just shaking her to her senses. "He's a perfect man!" (Well, that couldn't have happened anyway. I am not even anywhere in Korea right now or ever). One of the members from my ultimate fave girl group going out with one of the members in my ultimate fave boy group. Life is complete. Both are power vocals in their respective group. All I need now is at least one single from this duo, singing possibly the most romantic duet on earth ever. Or knowing them it might end up being the cheesiest. I just love her crazy laughter here. Baekkie's aegyo in Weekly Idol is still my top fave aegyo moments (I don't usually like aegyo) everXD And Taengoo, well, she once claimed she disliked doing - and had no - aegyo (then proceeded to do so much aegyo it probably gave half of S.Korea aegyo overdose, girl's just in denial). Speaking of never aging, pretty sure these two are vampires... I mean, how can a guy look that hot in vampirish-looking makeup! That's what I like to call his looks whenever he has them circle lens and pale skin. Like her boyfriend, Taeyeon has milky white skin (SNSD members even joke she looks like a ghost) and looks very vampirish-vogue with her dark hair and bright red lips. Haha, the combination of their names describes them perfectly! These two are well-known for being the byuntaes in their groups. And both seem to have an obsession with The Butts. And there you go, the reasons why I wish only the best for this couple. Ignore them haters. 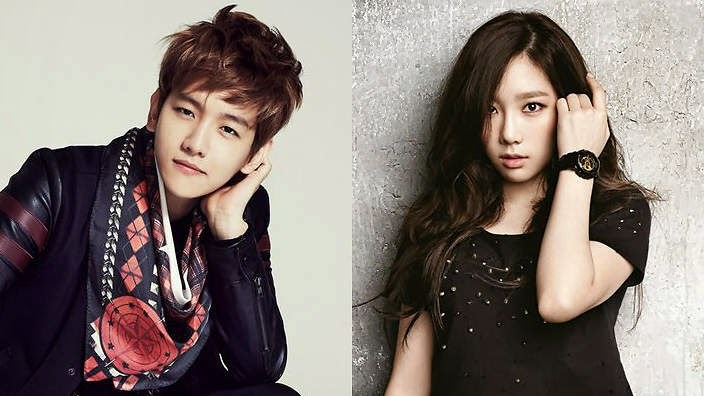 I hope Taeyeon and Baekhyun will never part ways. Even if they do some day, I hope it'll be for reasons completely unrelated to the monsters who are trying to break them up now. Now if only Dara will pay some attention to this overgrown elf.